What is my ISS Score and why is it important? 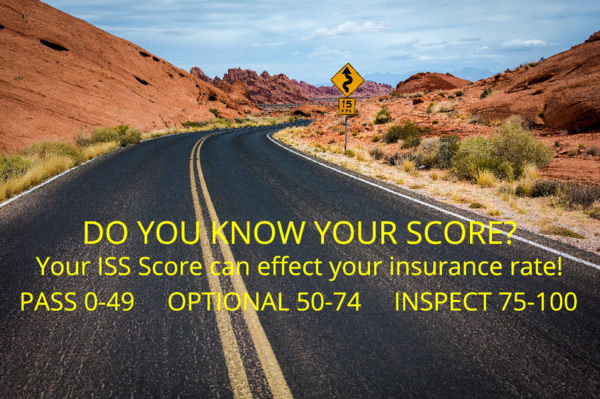 It surprises me that many motor carriers do not know their ISS score. This score is a vital part of your operation. Ever wonder why you’re always getting inspected? Odds are your ISS score requires inspections. Wouldn’t it be great to not worry about inspections? We’ll work on a separate blog for tips to improve you ISS score. ISS stands for Inspection Selection System. FMCSA created the ISS scoring system to help DOT officers decide whether to inspect a motor carrier or not. ISS scores range from 0 to 100, with 100 being a high-risk motor carrier. There are three classifications within the scoring system: Pass (0-49), Optional (50-74), and Inspect (75-100). While CSA score and ISS score are related, they are different. We’ll look at CSA scores in a later blog. How is my ISS score calculated? Great question. I can’t answer that because it goes WAY over my head, but I can provide how the Federal Motor Carrier Association explains it: the ISS score is calculated from a carrier’s Behavior Analysis and Safety Improvement Categories (BASICs) percentile values, as recorded in the FMCSA’s CSA Safety Measurement System (SMS). Clear as mud? Basically, a mathematician created a formula pulling info from a motor carrier’s safety record in the areas of unsafe driving, crash indicators (history of crash involvement), driver fitness, hazardous materials (HM) compliance, vehicle maintenance, hours-of-service compliance, and controlled substances and alcohol. The ISS score method is simply a way to gather up all the BASIC values into a single, at a glance score. I’m glad you asked! If you don’t know your ISS score, or don't know how to find it - reach out to me and I’ll walk you through it. You need to be monitoring this monthly, or quarterly at a minimum. At Bayou Insurance, we're working on a program to assist our trucking partners with their monitoring. Please pass this along if you’ve found it informative or helpful. Feel free to contact me via email HERE or give me a call at 318-805-6448.